Everyone knows there are certain "colors" of light that human eyes cannot see, such as X-rays, ultraviolet, infrared, and radio waves. Special instruments are needed to "see" those colors of light that are outside of the spectrum of visible light. 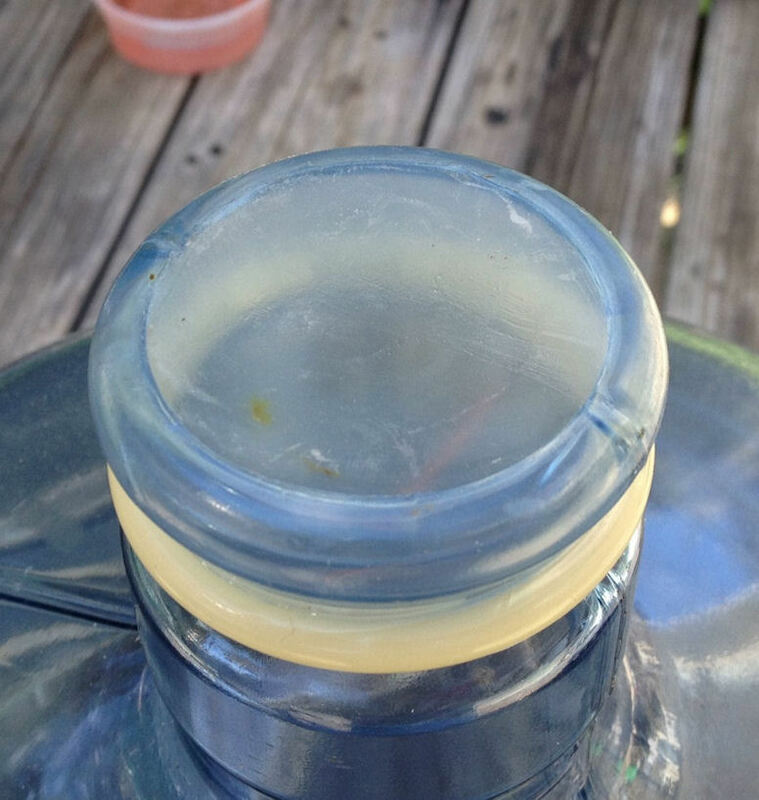 It consists of a 5-gallon plastic water bottle with a narrow neck, over which is stretched a condom, which works as a diaphragm that vibrates when acoustic waves (i.e., sounds) impinge upon it. The condom (Trojan, model 'Pleasure Ecstasy') is adequately tight and durable for its diaphragm function. 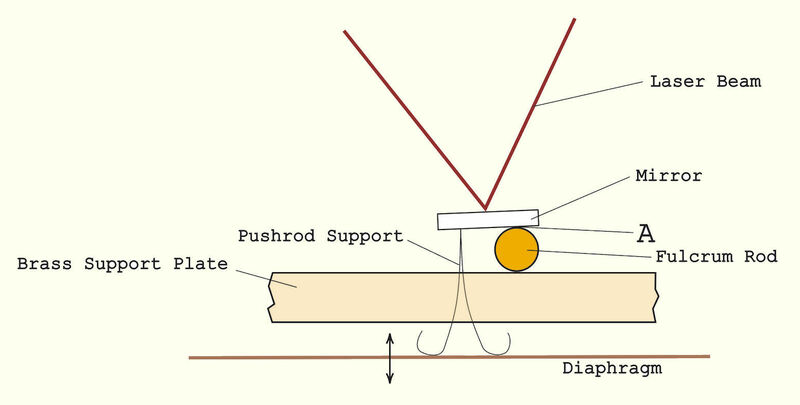 The next diagram is a closer view; When the diaphragm vibrates, the Pushrod Support causes the First Mirror to rotationally oscillate around point A on the Fulcrum Rod. 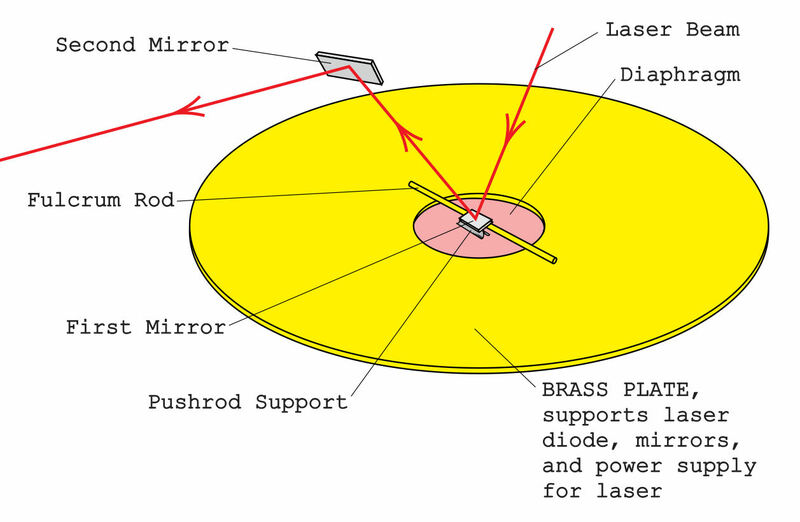 The laser beam thus gets deflected when the diaphragm is exposed to acoustic waves, i.e., noises. Note in the video that the red spot gradually drifts downward, which suggests a slow atmospheric pressure INCREASE lasting several seconds. 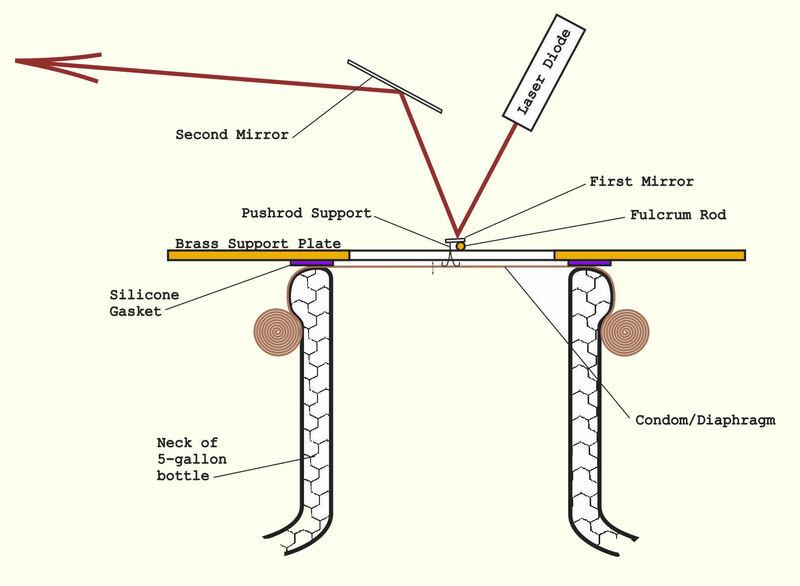 "Suggests" a pressure decrease, but the downward drift of the spot might actually mean only that the morror (the "first mirror") is sliding out of its position on the "fulcrum rod"; a better mounting is needed; the mirror comes unmounted sometimes when the main garage door is opened or closed, which creates a loud noise. The video of the moving laser spot should have the sound of traffic about a hundred yards from my laboratory/garage, but apparently it was too faint to be recorded. But we can "see" that sound with the moving red spot. 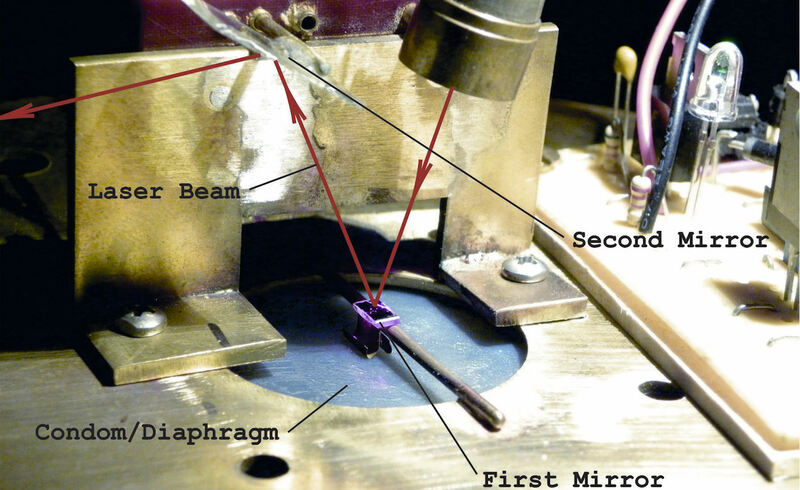 This Acoustic Observatory is so sensitive, that I can clear my throat when I'm three meters from the Observatory's detector — i.e., the detector consisting of the 'first mirror,' resting on the 'fulcrum rod' and actuated by the 'pushrod support' — the red spot moves up and down more than half an inch, which, as I calculate it, corresponds to a pressure level at the condom/diaphram of . . . well, I'll calculate it in the next day or so . . . 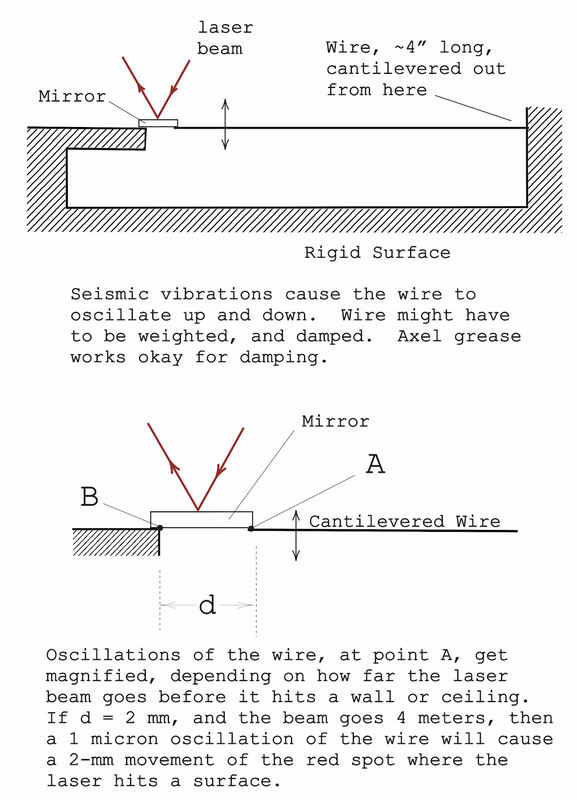 The same laser-and-mirror principle used in this Acoustic Observatory can be used in a pretty sensitive Seismic Observatory. 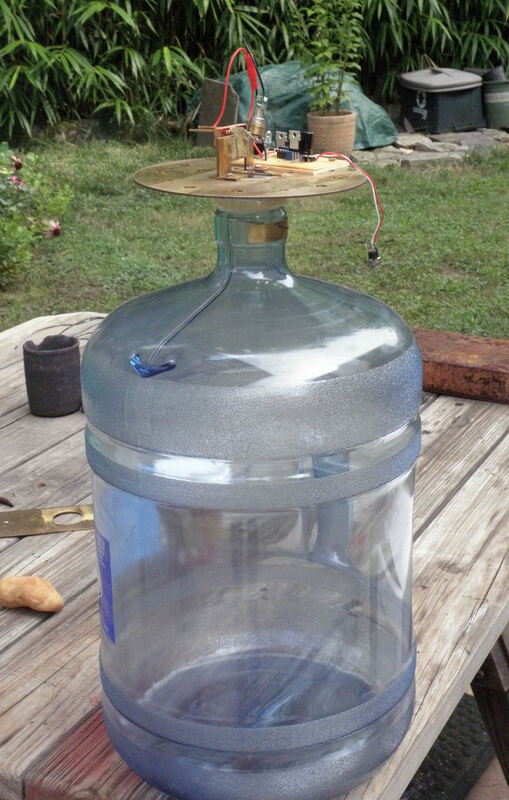 I also intend to add some interesting info about this device. 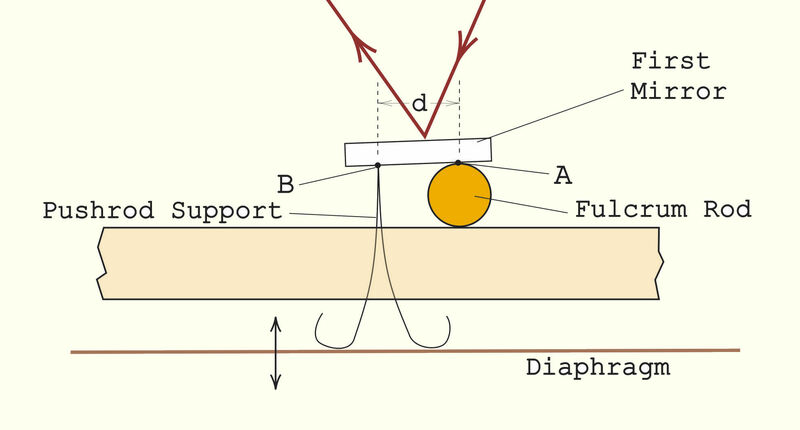 For instance, that a 1-mm movement of the red spot corresponds to a deflection of the condom/diaphragm that is less than the wavelength of visible light — on the order of one two-hundredth of an RCH! More to come . . .